Milan: Sami Khedira hit his first hat-trick as ten-man Juventus kept pace with leaders Napoli and Inter Milan in a 6-2 goal-fest at Udinese Sunday as AC Milan's campaign unravelled further with a goalless draw at Genoa. Massimiliano Allegri's champions desperately needed to win at Udine after claiming just one point in their previous two league games. And the reigning six-time champions fought back after Stipe Perica opened after eight minutes for the hosts and Mario Mandzukic was sent off on 25 minutes for a second yellow card. But a Samir own goal after 14 minutes and a Khedira strike got the Turin giants back in front within six minutes. "There was a good response from the boys. It wasn't easy," said Allegri. 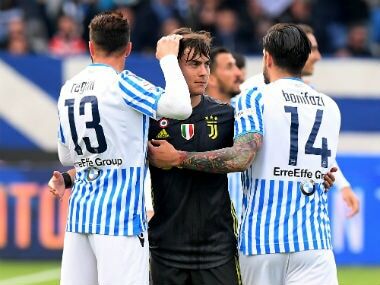 "In fact I want to thank him (Mandzukic), because we had to get back to winning games by defending and suffering for the result, so we can only thank him," Allegri told Mediaset Premium. "This was a turning point in the championship. A negative result would have been hard to swallow." Udinese equalised with Danilo's header, but it was Juventus all the way in the second half with a Daniele Rugani header on 52 minutes followed by two more from Khedira with Miralem Pjanic adding a sixth in the final minute. "It's the first hat-trick of my career, so that's great, but I'm above all happy with the win," said the Germany international. 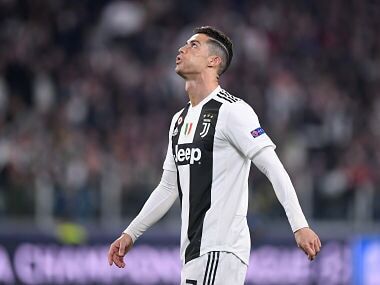 "It's always difficult for Juventus when we're not winning, especially after Mario's red card. It was not easy for us, but we are still one of the best teams in Europe and we proved that today." 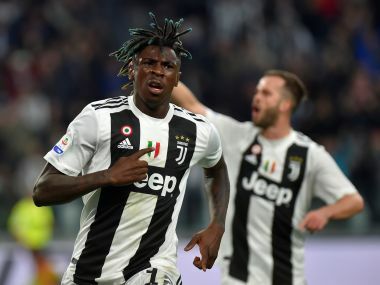 Juventus remain joint third with Lazio who beat Cagliari 3-0 but are just a point behind second-placed Inter Milan and three adrift of leaders Napoli, who have 25 points from nine games. On Saturday, Inter Milan ended Napoli's winning streak with a goalless draw despite a hard-fought top of the table clash in Naples. But former Juventus player Leonardo Bonucci's nightmare start at his new club Milan continued as he was sent off for elbowing — a first red card decided by the video assistant referee in Serie A— that could cost coach Vincenzo Montella his job. Montella had already been under huge pressure after three straight Serie A losses and Thursday's 0-0 Europa League draw with AEK Athens in Milan. 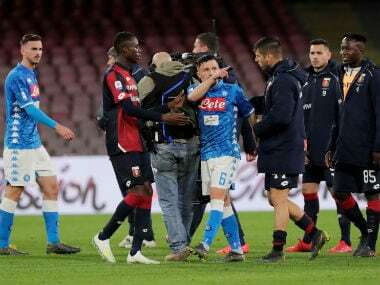 And amid reports his days are numbered the team played for over an hour with ten men after video confirmed a nasty elbow from the Milan captain on Genoa's Aleandro Rosi. "VAR helps but we have to decide if we are in a tele-visual world or one on the pitch," complained Montella after his team dropped to 11th far below the ambitions of the club's new Chinese owners. "This is an episode that can change my career." Bonucci's sending off not only damaged Milan's chances on the night but the captain will almost certainly receive a two-match ban, ruling him out against champions Juventus next weekend. "Bonucci had seven seasons at Juventus, I would have liked to see him against us, because it's always better to take on the strongest opponents," said Allegri. AS Roma bounced back from last weekend's loss at Napoli with a 1-0 win at Torino to build on their midweek 3-3 Champions League draw at Chelsea. Serbian defender Kolarov's spectacular free kick after 69 minutes moved Roma up to fifth, with a match in hand. Lazio's Ciro Immobile scored a double to bring his Serie A leading tally to 13 goals in nine games against Cagliari. Immobile stepped up to convert a penalty after seven minutes and headed in his second four minutes before the break. Angolan defender Bastos made it 3-0 off a Luis Alberto free kick to condemn the Sardinians, under new coach Diego Lopez, to a fifth straight defeat.